The Monetary Authority of Singapore (MAS) released a set of generally accepted principles on 12 November 2018 to promote fairness, ethics, accountability, and transparency (FEAT) in the use of artificial intelligence and data analytics (AIDA) in Singapore’s financial sector. The principles will have an impact on banks, asset managers and insurance companies in Singapore. To implement the essence of these principles will require some work, including investment in client interfaces, data governance, model validation frameworks, and control procedures. Brave – and transparent – new world? The development of AI and data analytics in a responsible way will increase stakeholder trust and shareholder value as we move towards greater connectedness in society and within each insurance business. AI will be contributing US$15.7 trillion to global GDP by 2030, according to PWC research. This presents a huge opportunity to build systems that assist and support decision making among customers and to learn from how they interact with the digital landscape. This is important as new technology is often associated with redundancy, disintermediation and a lack of the human touch. Fears have grown about the role of AI in our society, just as the Luddites feared – and not without some grounds – that they would be replaced with machines. How AI affects privacy, cybersecurity, employment, inequality and the environment are all important matters to be addressed. 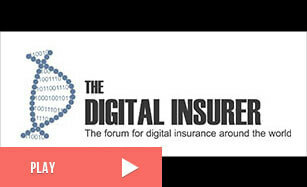 Above all, insurers need to be sure that customers and regulators not only understand but trust the new technologies. – Fairness: Do the AI models minimize bias in the data and is the use of AI addressing bias? – Robustness and security: Are AI systems reliable and how vulnerable are they to attack? – Interpretability: Can the process by which AI models make decisions be clearly articulated? Can those explanations be relied upon be accurate? – Governance: Who will be accountable for AI systems and are the proper controls in place? – System ethics: Do AI systems comply with regulations? What is their effect on employees and customers? AI strategies and policies are playing catch up with the rapid development and adoption of AI within the insurance industry. Insurers would be well advised to have considered the role and scope of AI within their business and the woodier market. AI is receiving increasing attention and regulators will begin to focus on its risks, ethics and security. There has been growing debate about the potential dangers AI and data analytics may pose the insurance industry if consumers – and regulators – do not trust how they are used. Openness and transparency will bring all stakeholders on board and should be the first aim of any project to develop and deploy AI within an insurance company.